I betcha there's more shake, rattle and roll in your bedroom than mine! And he has nice speakers, also! As Bruce Wayne said..."you should see the other one..."
What are those 'pads' underneath the speakers? Are they custom? 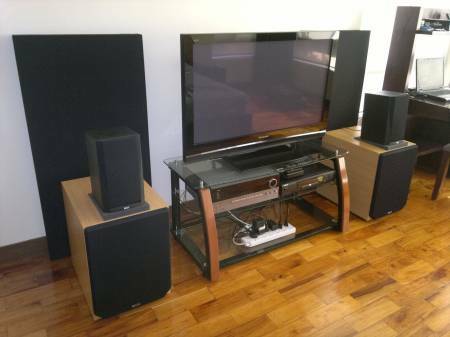 But, man, TWO EP500's in the bedroom system? Wow. Are those M3's on top of the subs? Those are B&W 302's on top. They crawl around the top if I didn't put the mopads.